Jason Roberts knows how to take a hit, and he has taken plenty: both from the boys at his high school, and from his deadbeat, drug-dealing father. But Jason has learned to give as good as he gets, and his reputation as the school tough guy has made him something of a legend. It isn't his rep that concerns him, though - all he really wants to do is get himself and his sister Janie out of this life and move to a place where his father can't hurt them anymore. So when wealthy jock Michael Springfield offers to pay Jason to hang with his popular crowd and strengthen their street cred, Jason accepts, planning to use the money to get himself and his little sister away from their dad for good. But as Jason spends more and more time with Michael and his friends, he soon learns that Michael has other plans for him - plans that could spell big trouble for everyone involved. As Jason sinks deeper into Michael's game of riches, drugs, and crime, he finds it harder and harder to pull away, drawn to the promise of money - and to Michael's beautiful, enigmatic girlfriend Cyndra. Now, Jason is in way over his head, and as Michael's schemes escalate in danger and violence, they threaten to destroy everything Jason holds dear. Still Waters is classic film noir meets 90210, complete with a con, a heist, a femme fatale who's also a damsel in distress, and a double-homicide. 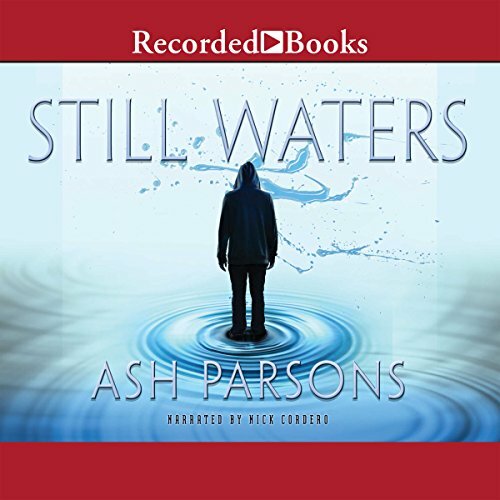 This audiobook is sure to appeal to fans of Laurie Halse Anderson's Twisted, Judy Blundell's What I Saw and How I Lied, Jay Asher's Thirteen Reasons Why, and the classic novel The Outsiders.